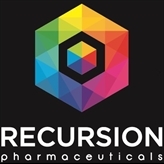 At Recursion, we combine experimental biology, automation and artificial intelligence to quickly and efficiently identify treatments for human diseases. This platform is the core of our mission: transforming drug discovery into a data science problem. You'll work with our data, biology, high-throughput screening (HTS), and engineering teams to identify and answer questions in high-dimensional data space using your abilities and intuitions and our evolving data science platform. Broadly speaking, you'll need to effectively leverage your computational skills, experience with microscopy datasets, and background understanding of biological experiments and data to help us improve our search for treatments. Two of the core tasks at Recursion are to 1) identify diseases that we can confidently model with our imaging data and 2) prioritize compounds that are likely to show efficacy in a given disease model. In this role, you will be an integral part of the team that reviews and improves the current computational platform for these tasks. Competency in devising and performing exploratory analyses for a wide range of experimental questions is critical to success in this role, as is a clear understanding of what you can and cannot conclude from a specific dataset, and the ability to present and discuss your conclusions. You will be responsible for developing a detailed understanding of our current pipeline, suggesting and benchmarking improvements and designing new creative ways of answering vital questions. Once identified, you will need to scale the solutions, metrics, and analyses that you develop and deploy them in collaboration with our engineering teams in order to advance our platform. High fluency and the equivalent skills of 2+ years of experience in: microscopy image analysis, machine learning, coding, and answering questions in high-dimensional numerical datasets using the Python data stack (pandas, sklearn, keras, tensorflow, pytorch, etc). Understanding of cellular biology and experience with biological datasets.